For decades this impressive bay in northern Vietnam in the Gulf of Tonkin – an archipelago of some 1,600 islands and islets in different shapes and sizes, forming a magnificent seascape of limestone pillars – has been tagged as one of the best honeymoon destinations in Vietnam. The astonishing view of Halong Bay with scattered limestone islands in the early mist, the breathtaking sunset views on a quiet afternoon, the views seen from a helicopter or from the summit of Bai Tho Island, Titov Island, or Cat Ba Island with pulsating adventure activities beckoning from all directions, the peaceful atmosphere, and a one-of-a-kind stay on a cruise itself, no wonder Halong Bay is one of the best honeymoon destinations in summer in Vietnam in 2018. Swim or bask in the sun, walk on the shores, spend some time relaxing in a deck chair while sipping on a coconut and romantic sunset watching, take part in interesting outdoor sports, and enjoy candlelit dinner with waves for a company – Halong Bay keeps you busy all the time! If feeling the soft sand between your toes is your definition of a perfect honeymoon vacation, Nha Trang is number one on our list of the best honeymoon destinations in summer in Vietnam. Nice weather, a quiet Eden of pearly white beaches surrounded by crystal-clear, turquoise waters, swaying palm trees, and pampering luxury resorts creating the perfect getaway for couples are the top reasons why honeymooners decide their vacation in Nha Trang. Why do you still hesitate to run into the sea hand in hand with your newlywed sweetheart, let yourself unwind in the cozy warmth, and create a wonderful honeymoon memory with your spouse at these wonderful honeymoon destinations in Vietnam? 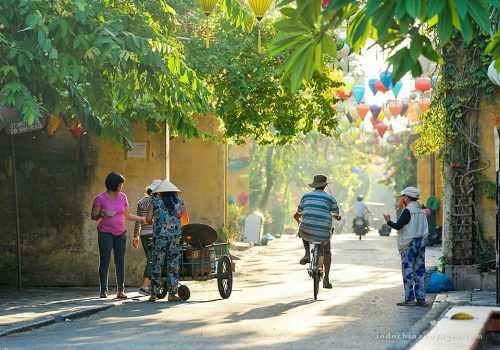 Favored by couples from all over the world, Hanoi capital city – the heart and soul of Vietnam is the most exotic honeymoon destinations in summer in Indochina – where you can have the time of your life with your newlywed better half. 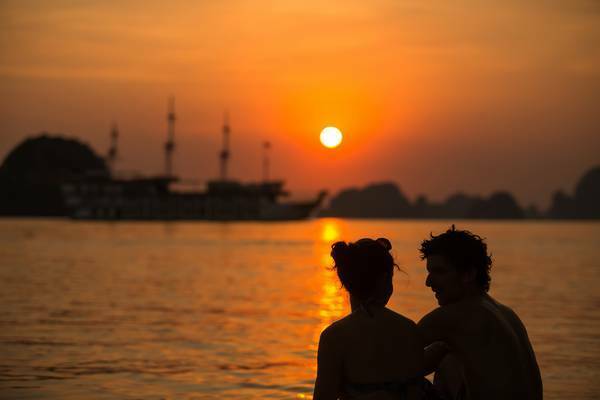 What does Hanoi have to create a romantic relaxing holiday? It is the laid-back ambiance, the lovely Hanoians, the adventures, and especially the delightful gastronomy. Trying some new food together is what you should not miss on a visit to an exotic locale like Vietnam’s capital. From gỏi cuốn (Vietnamese fresh spring rolls) to bún chả – a vivid combination of mouthwatering grilled pork, noodles, and tastefully sweet spicy sauce – the fundamental flavors that reflect the traditional and cultural way of Hanoians – there are so many foods out there that can boost romance. 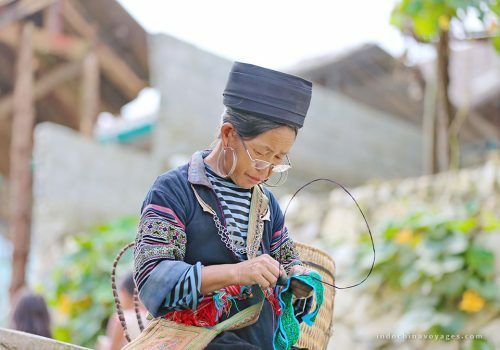 Sapa is all about tranquility, romance, and adventure; therefore one of the best places for honeymoon couples in summer in Vietnam. Fine, rugged scenery with lush greenery, magnificent mountain, and terrace fields, spectacular sunrises and sunsets, a number of natural wonders: caves, waterfalls, and valleys – that you would love to discover with your partner, and rich cultural diversity – all blend into that will live on in your memories. Planning your trip may leave you wondering what you should do during your honeymoon other than just snuggling up in bed with your partner. Want something to switch it up a little? 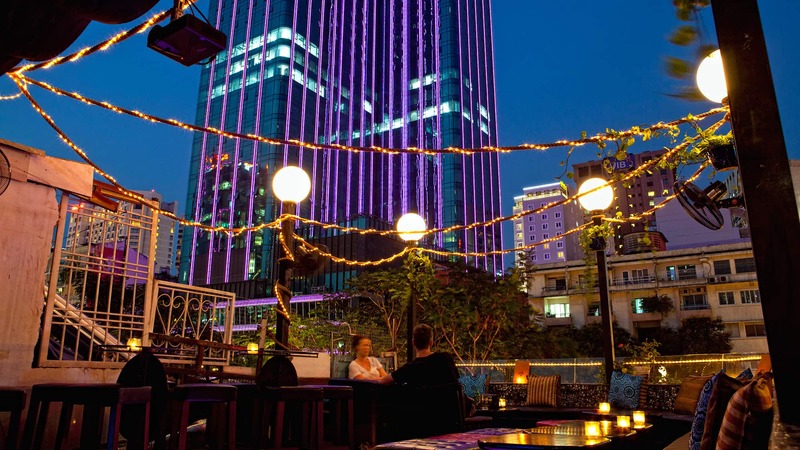 Plan your honeymoon tour in Ho Chi Minh City. 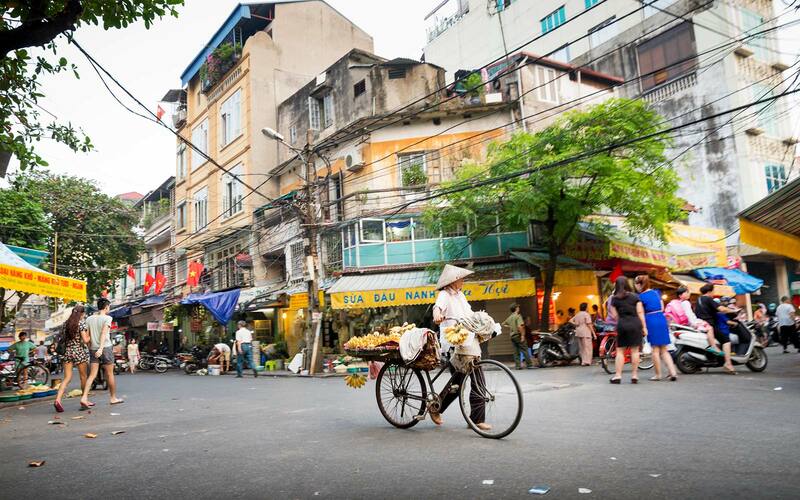 Vietnam is not only about beaches, and no other place justifies the statement better than Ho Chi Minh City – which is known for its beautiful theme parks, temples and pagodas, historic landmarks, and vibrant local markets. Be sure to taste some delicious Vietnamese dishes as the food is something not to be missed here. Before embarking on a honeymoon trip, you all might want to do some pre-planning and choose a few activities you might want to do. 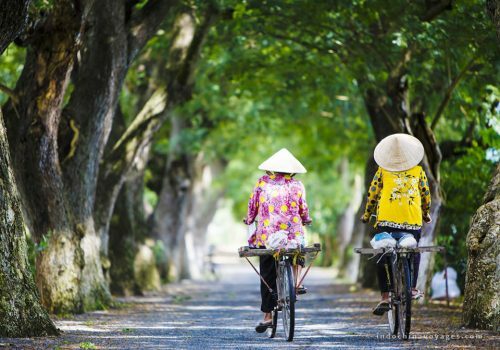 This article will give you some ideas on the top destinations for your honeymoon vacation in summer in Vietnam!